First published in 1979, each volume contains a collection of essays on the novel drawn from periodicals which demonstrates the primary concerns of those discussing the nature and purpose of prose fiction in the period from 1830 to 1900. The essays reflect what was thought and said about the art of fiction and reveal what journalists of these periodicals thought were the most urgent critical concerns facing the working reviewer. 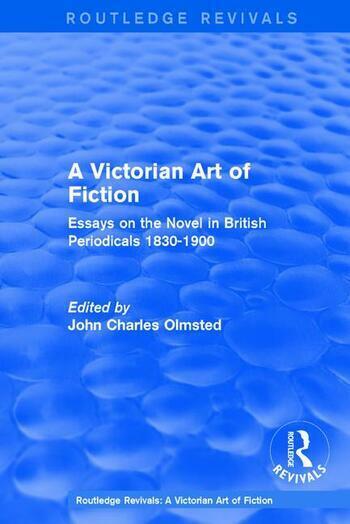 Including an introduction which assesses the issues raised by the best periodicals at the time, each anthology is designed to provide students of Victorian fiction and critical theory with a collection of essays on the art of fiction in a convenient and durable form.